Here are some Links and info to help you. The Spitzer Space Telescope is a NASA mission managed by the Jet Propulsion Laboratory. This website is maintained by the Spitzer Science Center, located on the campus of the California Institute of Technology and part of NASA's Infrared Processing and Analysis Center. Ever consider the size of our World? Here are photos to show the size comparison of the Stars and Planets. Sky & Telescope: Click here to go to a great source of info about Astronomy. Many Amateur Astronomers subscribe to their great magazine that has a useful Star Map in each issue. An interactive planetarium. You can make a sky map, by entering the latitude and longitude of where you are, or a nearby city. Click this text. Heavens-Above! If you're interested in satellites or astronomy, you've come to the right place! Our aim is to provide you with all the information you need to observe satellites such as the International Space Station and the Space Shuttle, spectacular events such as the dazzlingly bright flares from Iridium satellites as well as a wealth of other spaceflight and astronomical information. The Queen's University Astronomy Research Group Home Page in Canada Click this text. The Chandra Mission NASA's Chandra X-ray Observatory, which was launched and deployed by Space Shuttle Columbia on July 23, 1999, is the most sophisticated X-ray observatory built to date. A great site about Astronomy, by Jack Horkheimer, who is seen on PBS Television. Click here and as Jack says,"Keep Looking Up!" Earth & Sky has a Radio Show to listen to and other info on their Link. Ask an Astronomer. We love astronomy, and want to share it with you! That's why we welcome new questions from K-12 students, teachers, and the general public. We're graduate students at Lick Observatory. 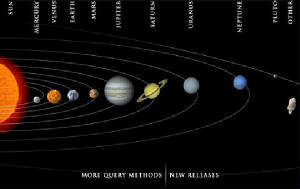 Phil Plait Blog Website: The new page for Bad Astronomy! Where he explains a lot of misinformation that is spread about astronomy. Phil says, I am an astronomer, writer, and skeptic. I like reality the way it is, and I aims to keep it that way. My real name is Phil Plait, and I run the Bad Astronomy website. And as he stated in his previous site: "I feel obliged to right these wrongs when I can." Sign up for his Blog updates to be sent to your email. Astronomy.com site where you can find news and events and subscribe to their magazine. McDonald Observatory is located in the Davis Mountains, 450 miles west of Austin, Texas. Jodrell Bank Observatory is part of the School of Physics and Astronomy at The University of Manchester. The Observatory is home to the Lovell Radio Telescope and the MERLIN/VLBI National Facility which is operated by the University on behalf of PPARC.